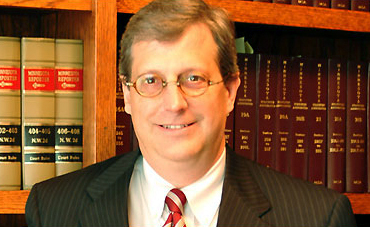 With over 30 years of experience, Brian D. Alton has had a distinguished legal career in commercial land use, business and real estate law, and estate planning. He is licensed to practice in Minnesota and Wisconsin. He is a graduate of Hamline University School of Law (now Hamline-Mitchell) and the University of Wisconsin – River Falls. For 11 years he served on the St. Paul Planning Commission and was Chairman of the Commission for 4 years. He previously served on the St. Paul Board of Zoning Appeals. Currently, he is a member of the City’s Charter Commission. Brian is a Trustee for the Presbytery of the Twin Cities and a former Trustee at The House of Hope Presbyterian Church. He is on the Executive Committee of the Board for The Saint Croix River Association. Currently, he serves as President of the Alumni Advisory Board for the University of Wisconsin-River Falls. Other civic engagement has included the Board of Trustees for The Jeremiah Program, The Grand Avenue Business Association, and the Summit Hill Association/District 16 Planning Council. Recently he served on The Grand Round Bike Loop Advisory Committee. Brian and his wife, Bonnie, live in St. Paul. They share a love for cycling, cooking and reading.